Open-Source 3D-Printed Products, for the Win! (Jeremy Simon) I would like to share a story with you about the power of 3D printing technology to transform lives. I recently had the opportunity to work with a great guy named Jose Delgado, Jr., a 53-year old who was born without most of his left hand. Jose found his way to me and asked if I could help make a 3D printed prosthesis for him. 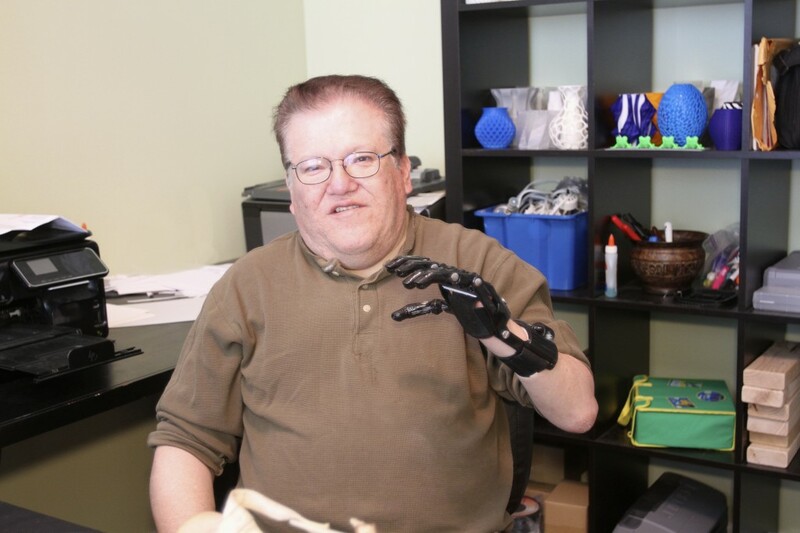 Jose has used multiple types of prosthetic devices over many years, including a myoelectric version that uses the muscle signals in his forearm to trigger closing or opening the fingers. The cost of this myoelectric device was $42,000. Only a portion of that was paid by insurance and the rest by Jose. The cost makes it an unaffordable option for many in similar situations. 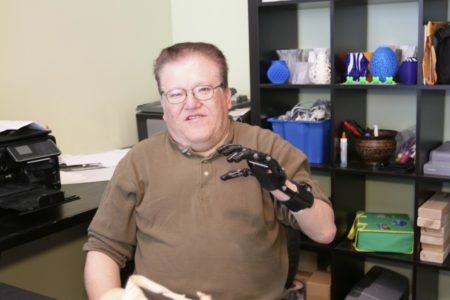 My Commentary: “E-nable Hand” (aka “Cyborg Beast”) is an open-source 3D-printed hand, made with $50 in materials. Meanwhile, the myoelectric prosthesis described in this article is a $42,000 device, made with patented top-of-the-line technology. Guess which one Jose Delgado, Jr, a life-long prosthesis-wearer, born without most of his left hand, prefers?